Who are we? 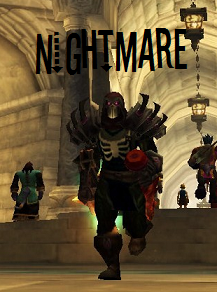 We are a PvP Alliance guild on Aerie Peak, dedicated to pwnsaucing gladiator-esque style. We are always looking for exceptional players, so check the forums for all the details. We are dedicated to PvP which is our first priority, but also do casual heroics and raiding.